As I said many times, a slow metabolism is one of the reasons you can’t lose those extra pounds that worry you. The sad truth is that metabolism slows down as you age. However, there’s still something to do in order to stay fit and not let your body store everything you eat. On the other hand, there are some foods that actually slow down metabolism. So, check our list of foods that slow down your metabolism and stop you from losing weight and try to avoid it. Scientists proved that chemicals, such as pesticides which are used on fruit and vegetables can affect your metabolism and slow it down. 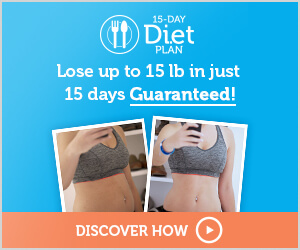 Those chemicals also slow down the process of burning fats. In addition, some pesticides may cause obesity. Some of the food which contains pesticides is strawberries, apples, nectarines, peaches, and celery. Tip: Buy organic products. If you can’t find organic products, you should wash your fruit and vegetables thoroughly and then peel them as well. 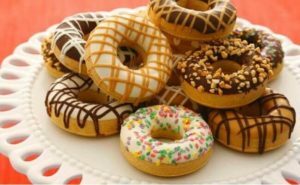 It’s well known that food rich in sugars is not good for your health, nor for your figure. Many products which are labelled as ‘sugar-free’ contain sweeteners that are bad for your health. 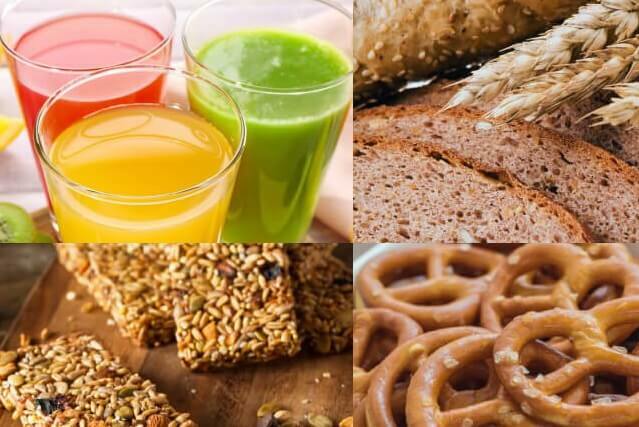 When it comes to your metabolism, the best thing to do is to avoid sugar, not only in chocolates, cakes, and pastry but also in fruit juices. A glass of supermarket apple juice contains about 30 g of sugar. 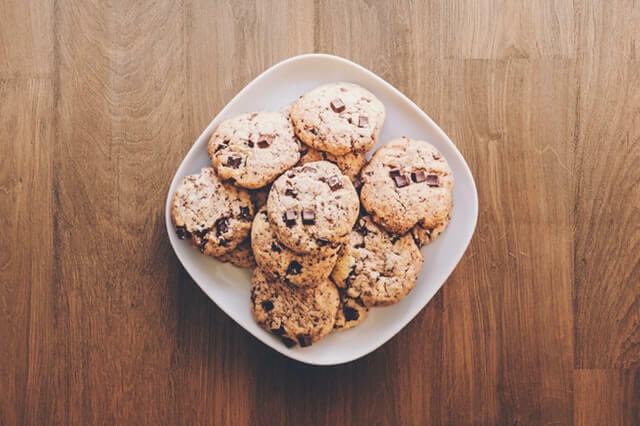 Tip: Use stevia as an alternative to sugar. Processed carbs, like bread, pasta, and rice go easily through your digestive system. This means that your body doesn’t need to try hard to process them, so your metabolism doesn’t work and it slows down. Also, these ingredients have high nutritious value and lots of calories. Sunflower, corn, rapeseed, and soy oil are bad for your metabolism because they are obtained from processed ingredients in industrial processes. These oils are rich in omega- 6 fatty acids that may cause various inflammations in your body. Tip: Use olive or coconut oil instead. So, margarine can slow down your metabolism significantly. Tip: If you can’t imagine breakfast without margarine, try to find an organic one. Numerous studies show a strong relationship between French fries and weight gain. No wonder, since French fries have a lot of calories and 99% are fats and sugars. French fries are fried in hydrogenated oils and because of that is loaded with trans-fat which slow down your metabolism. 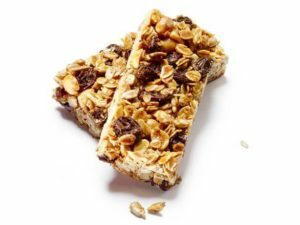 Granola bars are often mentioned as healthy food, but actually, they are an ‘unhealthy healthy food’. Although they are made of oats, granola bars are very bad for your metabolism. They are loaded with sugar, high – fructose corn syrup, artificial colors, and preservatives. Non-organic meat products, like farmed beef, can slow down your metabolism. The reason for that is the antibiotics they give to animals which have a bad effect on the gut bacteria. Also, if you intake a lot of meat proteins you may disrupt the balance of the gut bacteria which leads to slowing down your metabolism. Tip: Eat organic meat. Try to intake high – protein foods from non-animal sources, too. Alcohol can decrease your fat burning rate. 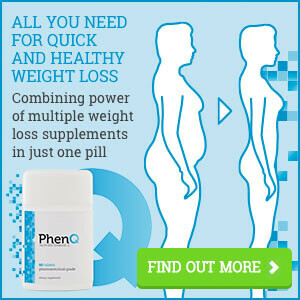 READ ALSO: BEST METABOLISM BOOSTING SUPPLEMENTS FOR EFFECTIVE WEIGHT LOSS!